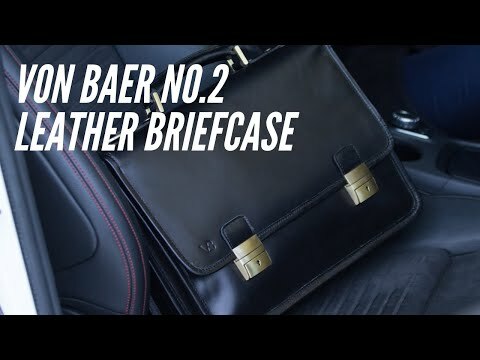 The No.2 Modern Briefcase is crafted from full-grain buffalo leather. Spacious yet stylish at the same time, it can hold a laptop of up 15", as well as folders, technical devices and writing instruments in dedicated and well-organized pockets beside personal belongings in the secure front compartment. This bag has two main compartments in its interior and one zipped compartment at the back which is ideal for small items. Comfortably holds up to a 15,6″ MacBook, and most 15,6″ laptops, notebook, documents and other essentials.